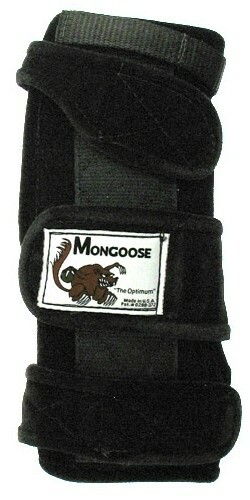 The Mongoose Optimum is designed to give you the best of both worlds the Lifter and the Equalizer have to offer. The Optimum can be used with or without the finger strap. I was very inconsistent getting to the pocket with not enough lift, and revolutions on the ball. My PAP was going through the finger hole. My game has improved as result of the MONGOOSE, I'm consistent to the pocket with lift and revolutions on the ball. My PAP is now to the side of the finger hole. My game is consistent and the average is getting better. I also practice my release drills with the Mongoose. Due to the time it takes to produce the Mongoose Optimum Left Hand ball it will ship in immediately. We cannot ship this ball outside the United States.